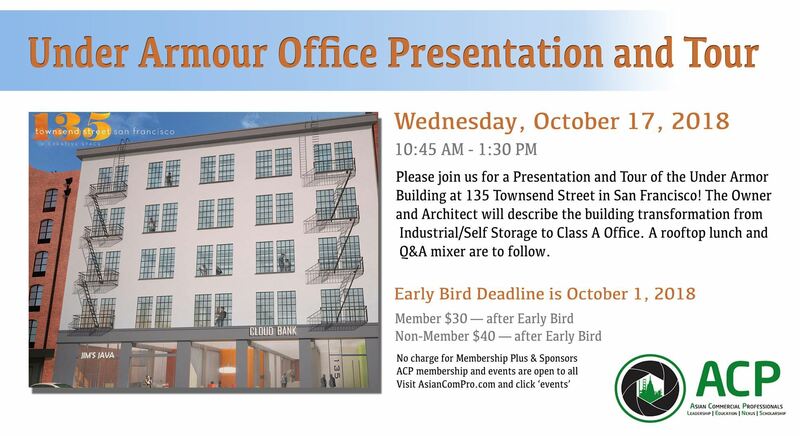 Please join us for a Presentation and Tour of the Under Armor Building at 135 Townsend Street in San Francisco! Jim Fielder (owner) and Charles Blozies (architect) will describe the building transformation from Industrial/Self Storage to Class A Office. 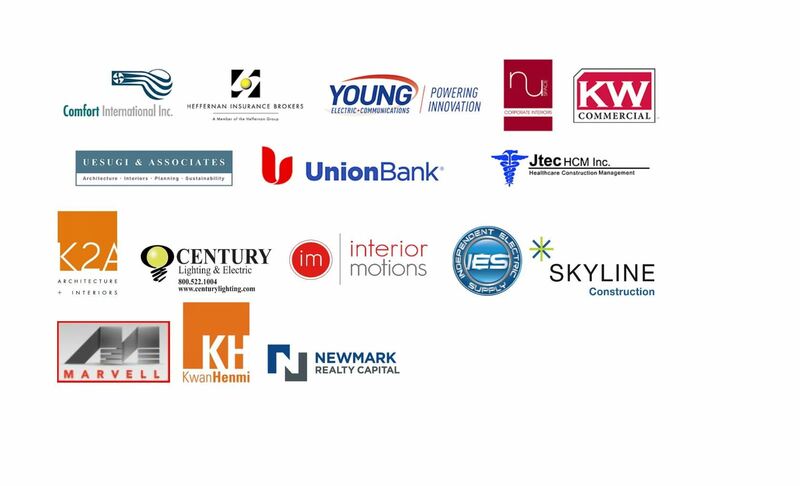 A rooftop lunch and Q&A Mixer will follow the presentation. 11:30 AM – 12:00 PM: Break up into small group for building tour. 12:00 – 1:00 PM – Tour ends at the roof top where everyone will regroup for a Q&A session, and food and wine reception. Early Bird Deadline is October 1, 2018. PUBLIC TRANSPORTATION:Take Muni to King Street and 2nd. The property is located between 2nd and 3rd Street on Townsend. PARKING: Paid Parking is available at Townsend Garage (153 Townsend), or street parking. NOTE: ACP membership and events are open to all! To become a member, please visit www.AsianComPro.com, and click on MEMBERSHIP.